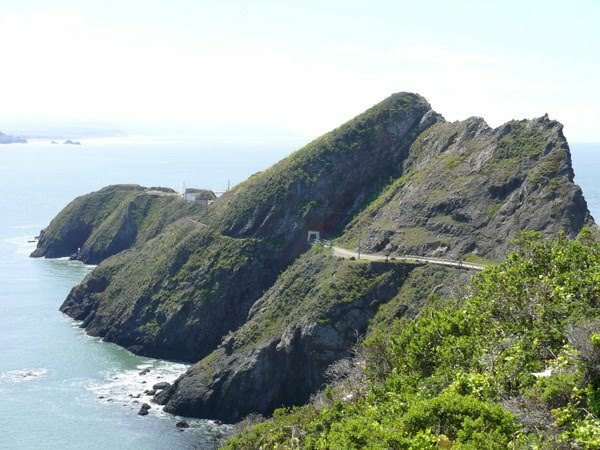 I’d been planning to get out to the Point Bonita Lighthouse for years, but since it can be reached only Saturday-Monday and nobody in his right mind would fight the weekend crowds, you have to go on Monday. But since the access route to it is closed except 12:30-3:30 and of course you want to go on a sunny day, that narrows your chances. 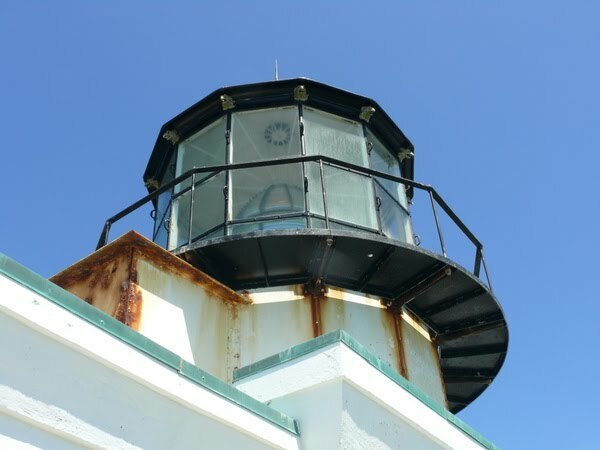 After all, it’s a lighthouse, but it’s also a foghorn house…for a reason. 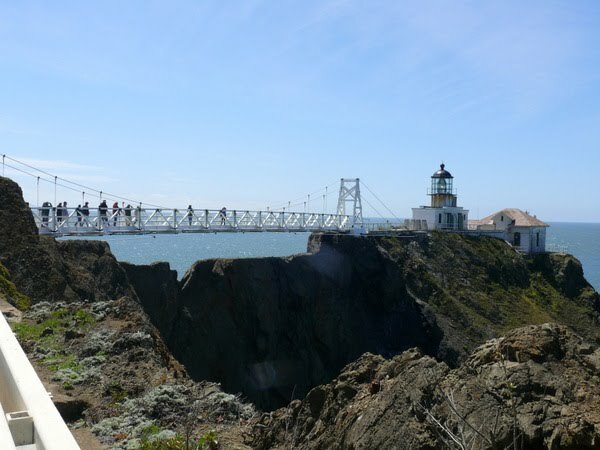 And then, in January of 2010 those scaredy-cat engineers took a close look at the 1954 suspension bridge leading to the lighthouse, gasped, and summarily closed it to traffic, leaving me with the distinct impression that i’d never get to visit it. But no, a few days ago our SF Chronicle published an article announcing the completion and opening last Saturday of the new bridge, a nearly exact copy of the original. So with bated breath i arose this morning and looked for the sun. Voilà. An hour before opening time i threw the Segway in the back of the Prius and set out, which of course got me to the site 45 minutes early, but hey, folks who go to this thing are always fun to chat up, and i got into a wonderful conversation with an eighty-year-old Frenchman who was visiting with his wife and had been to the lighthouse decades earlier when he had lived in San Francisco. To get to the lighthouse you have to walk (or Segway with a handicap permit) along a trail about a half mile and then through a tunnel. In this pic you can see to the left of the tunnel entrance the trace remaining of the original trail around the side of the hill. They dug the tunnel because the part in shadow immediately to the left of the entrance is a sheer cliff and the trail there persisted in falling into the bay. Only when you exit the tunnel can you get a good look at the lighthouse and the suspension bridge leading to it. The ridge beneath the bridge is knife thin, so you can look almost straight down off either side to the rocks at water’s edge. And no, i didn’t take the Segway onto the bridge because it’s narrow enough that i felt antisocial, and besides, it’s short and almost flat. 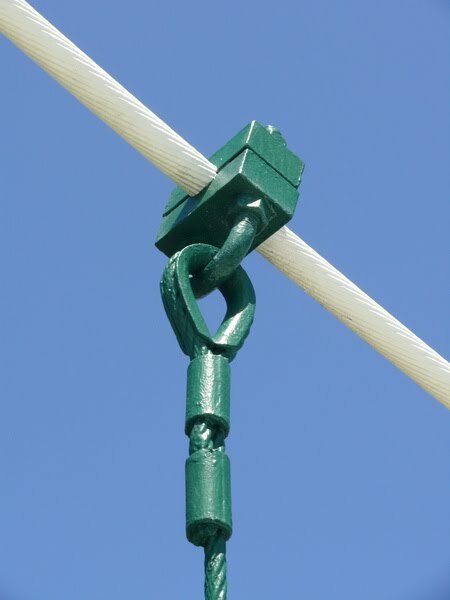 Also, the bridge bounces and trembles in the wind, to help you appreciate the delicacy of its design. Alas, the stairs leading to the lens are not open to tourists, so you have to admire it from outside.